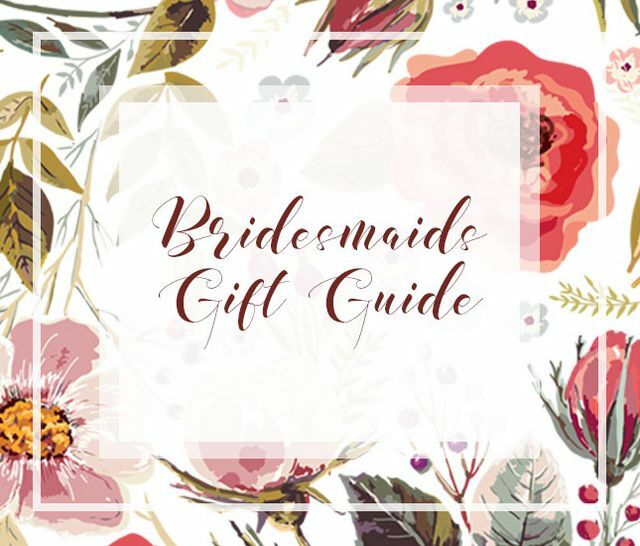 Bridesmaids gifts are always an amazing token of gratitude, so if you're on the hunt for fabulous bridesmaid ideas, you've landed in the right place! 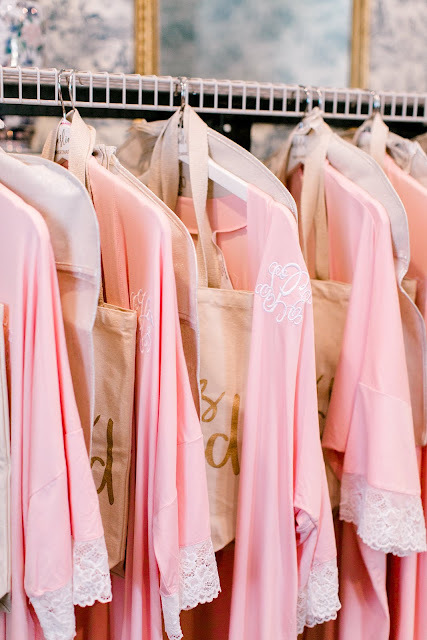 Whether you're asking your friends to be by your side on your big day or thanking them on your wedding day, we have some amazing gift ideas for your best girls! Marleylilly had a total "aww" moment when one of our beautiful models, Lindley Gulledge. 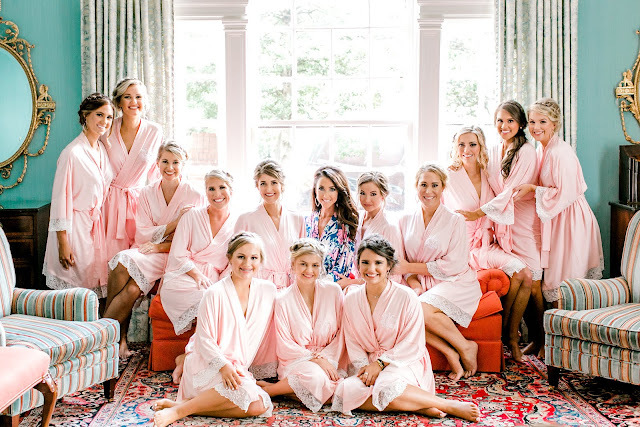 Lindley included Marleylilly in her big wedding day and we could not be more obsessed with her photos! The bridal party wore our Monogrammed Bath Robes while getting ready! Lindley wore the floral pattern while the rest of her girls complimented her in blush. 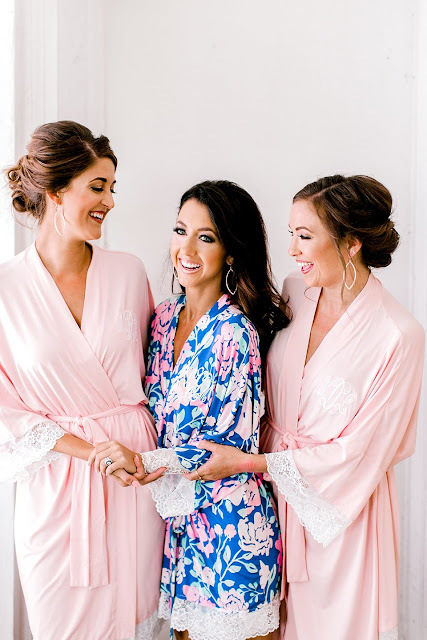 For more detailed information on Lindley's makeup and tan be sure to check out her team that helped her get ready for her big day! Your wedding day is a huge undertaking and bridesmaids gifts are not only a detail to sort out. Photographers are too! These amazing photos are by Jessi Morley Nichols and how gorgeous are they?! Our Monogrammed Box Clutch is a great gift idea! Can you ever really have too many clutches?! You can also style this two different ways! You can use it as a clutch or wear it on your shoulder for a different look! Another classic gift is jewelry - what girl doesn't love jewelry?! Our Monogrammed Pave Earrings would make a beautiful, bold statement on your wedding day. Or, our Taylor Necklace is another great option! We love the simplicity of the necklace and its versatility! This is the perfect "everyday" necklace to dress up or down!